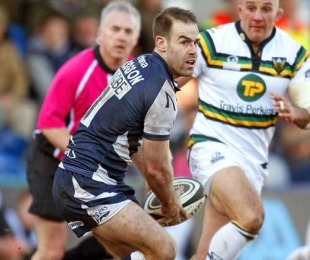 Charlie Hodgson is set to make his first appearance of the Aviva Premiership season when Sale take on Wasps at Edgeley Park on Friday night. The England fly-half missed the Sharks' opening games of the campaign in order to complete his recovery from shoulder surgery. Hodgson opted to go under the knife in August in order to correct a long-standing problem. Former Cardiff Blues utility Nick Macleod has deputised at No.10 in Hodgson's absence, but picked up a knock in Saturday's loss to Bath at the Recreation Ground. Sale have so far this season won two and lost two, with both of their victories coming on home turf. "It's great to have Charlie back," head coach Mike Brewer said. "In one training run, he has added another dimension to our game. "A player of Charlie's experience is more than what he just executes as our fly-half, it is also his game management and overall decision making which is invaluable. Nicky Macleod has done really well in the first part of the season and it is quite timely for us that Charlie is now fully recovered just as Nicky picks up an injury."